Sonotronics proudly introduces this new addition to available fisheries research technologies. 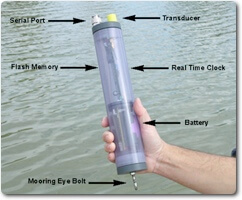 This rugged, inexpensive, long life unit allows for detection of fish passage within its detection area. Strings, arrays, or individual receivers can be utilized depending on the resolution of detection desired in the study. One of the main principles behind the SUR is its ability to save valuable field time, potentially reducing project costs. 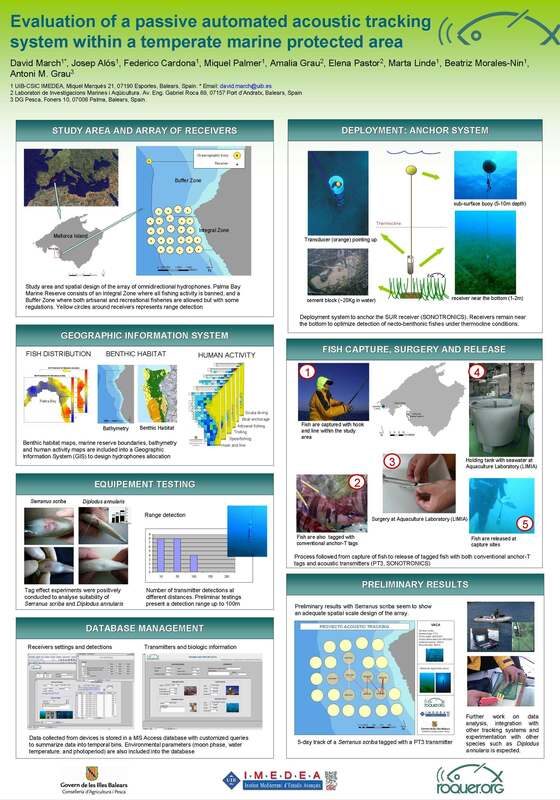 The SUR brings new features and options to the marketplace aiding in the continued development of fisheries research technologies. The SUR is simply moored using the eye bolt on the bottom. Its natural buoyancy will keep the unit upright in the water column. Transmitters within the units detection area will be logged to the on board memory along with date and time. The SUR can be interrogated remotely for the presence of data, allowing it to be left alone with no data hits. Data is then downloaded via the serial port. The SUR is a stand-alone submersed unit which allows for detection and logging of the same transmitters used in manual tracking, including any Sonotronics past or present transmitters. The SUR is a scanning receiver allowing for transmitters on different frequencies to be logged, also allowing exclusive channels for specialty transmitters. The SUR is designed to interface with a variety of communication systems allowing for greater system flexibility and reduce field time. The CUB cellular uplink buoy allows for real time cell phone communication upon animal passage. Radio uplink buoys are now available allowing for remote data download and configuration. 900MHz and 2.4GHz (internationally approved) bands are available. Free software for communications with the SUR’s – SURsoft. SURsoft can be used to set time and date, download data, program frequency scanning maps, and many other options. SURsoft now includes a data processing module (As shown on the figure). The data processing center can be used to process and examine the data obtained from SUR’s, saving valuable time in sorting data. Features include examining data by transmitter, processing telemetry data, and viewing a graphic display of activity at an SUR. The SUR’s available ping and response transponding allows researchers to “ping down” to the SUR on a separate frequency, asking it to “ping up” its status, which can be detected with a manual tracking receiver. The SUR transmits a ping sequence related to the presence/absence of data in its flash memory. On many projects, this can save field time as the units do not need to be retrieved to determine data presence. SUR-3BT: This is a stand- alone device consisting of a battery system, microprocessor, 2Mb of flash memory, real time clock, hydrophone, ultrasonic receiver, and Bluetooth connectivity for wireless, high- speed downloads and configuration. SIT-01: This is the SUR Interrogator Transmitter. This a 60kHz transmitter with a specific pulse rate used to interrogate SUR’s for the presence of data. Only one SIT is needed to service multiple SUR’s.